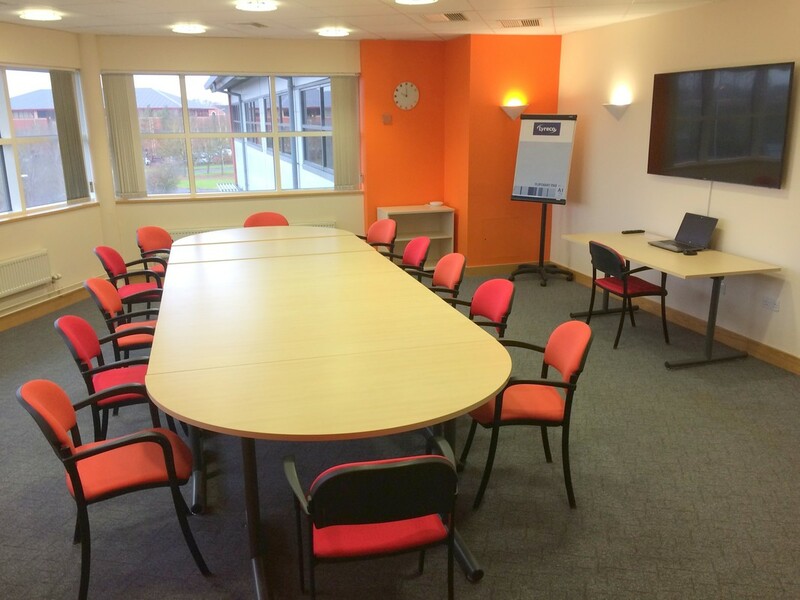 Located on the second floor with views across Priory Business Park and Cardington, this executive room will accommodate up to 20 people in theatre style for seminars and presentations or 16 people boardroom style. Located on the first floor, this popular room is ideal for an interactive, round-table meeting accommodating 12 people. The hire of the S and F meeting rooms includes use of the flipchart and use of AV. Other configurations and layouts are possible; please enquire as we are happy to discuss your individual requirements. 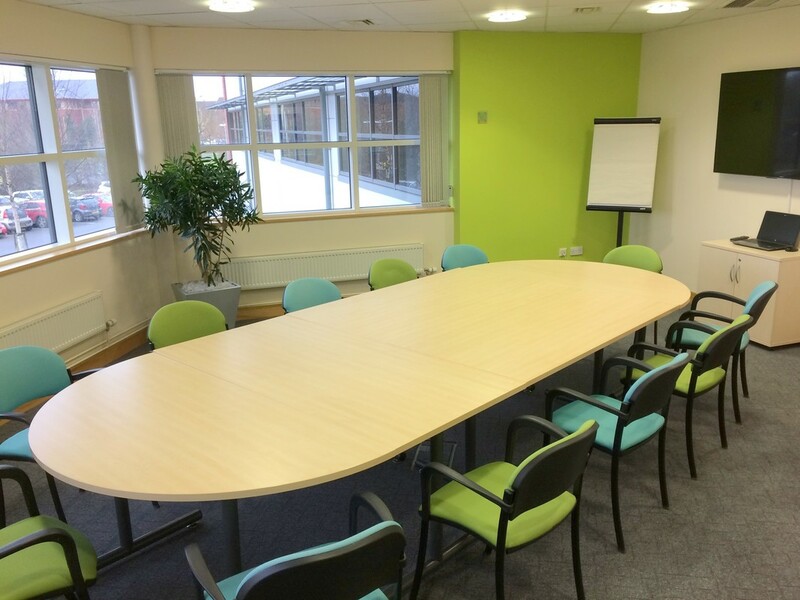 Located on the first floor, this is an informal meeting room for up to 4 people. These are permanent, wire-free fixtures in both S and F meeting rooms and are designed to enable you to deliver high-quality, professional presentations (sound and vision) to your audience. A public Wifi connection is available within the centre core and meeting room areas for your convenience. There are bar areas on each floor with breakout space, beverage machines and chilled water dispensers. Bespoke catering needs can be arranged on your behalf, meeting your dietary requirements. 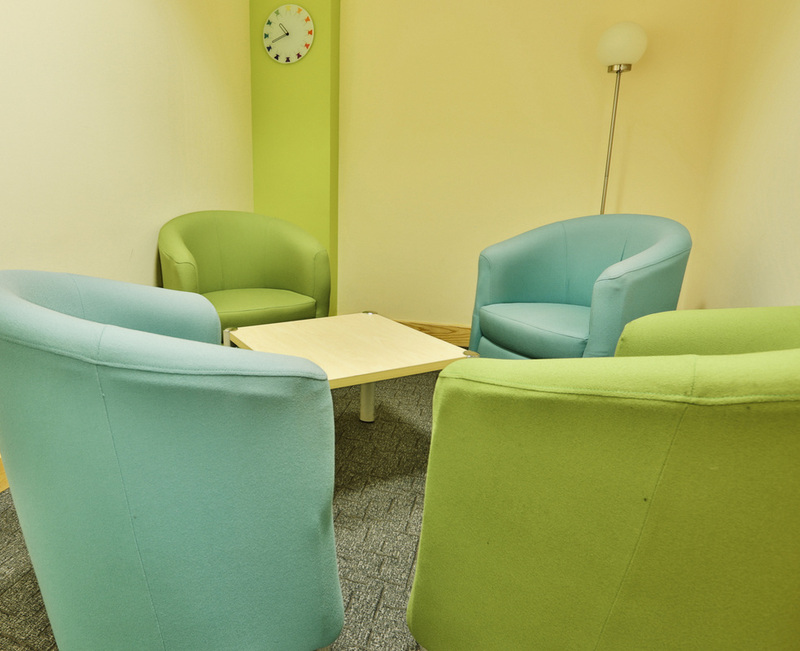 Located throughout the building, the centre also has relaxed break out spaces which are designed to encourage in house networking, the sharing of ideas and a relaxed environment for your visitors.